Southern Botany was established 10 years ago and has since proudly been serving Loganville and the greater Atlanta area. All of our staff members are state licensed and highly trained in every single realm that relates to this industry. Our team is equally as adept at diagnosing problems as we are at fixing and preventing them. Our skill is matched only by our approachability. Please do not hesitate to ask any questions or address any concerns to us as we seek to go about the business of beautifying your outside. When it comes to your lawn and ornamental needs you will not find any business around that has the thoroughness and diligence of Southern Botany. Our program offers a multi-step application for warm and cool season lawns and all your ornamentals, though we are not responsible for the weather, we go the extra mile and act as though we are. We know that the weather can have an effect on the result of lawn maintenance applications. 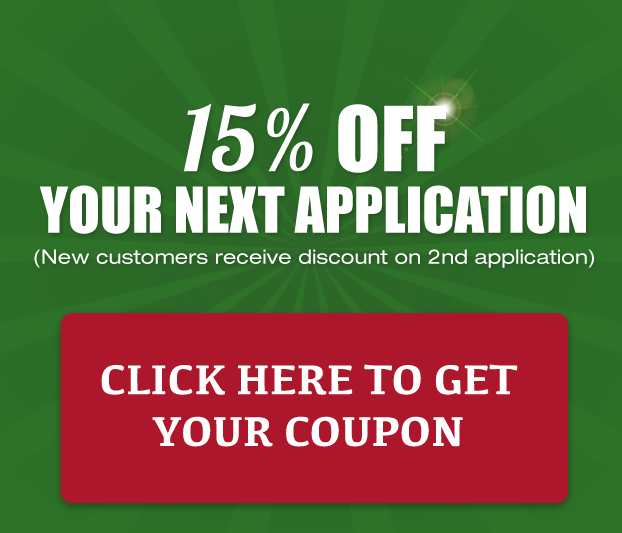 So, should you purchase our services, we provide service calls in addition to our regimented application visits at no extra charge. Our staff watches over your lawn as if it was their own, making sure to prevent problems before they arise, and to nip small issues in the bud before they become catastrophic to your grass or plants. 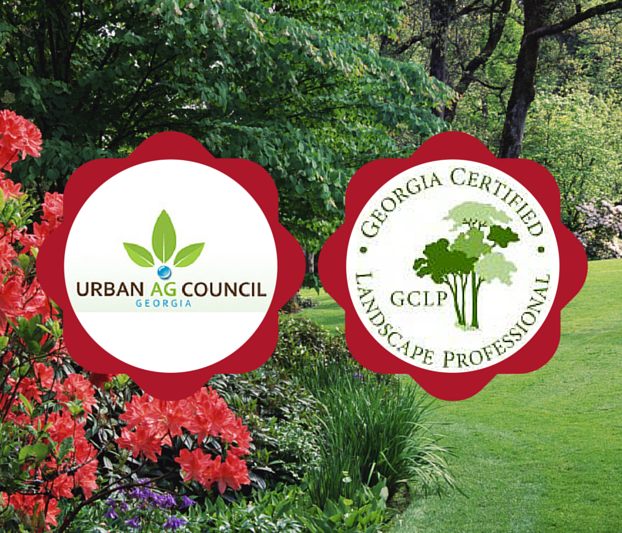 Our business has long been a member of the Urban AG Council along with being Georgia Certified Landscape Professional. Though our clientele base has grown considerably since we began operations, we remain a family owned business and with that ownership comes the personal touch and individual attention we provide to each customer. Our goal is to establish a long term working relationship with every person who gives us the honor of entrusting us to service their landscape investment. 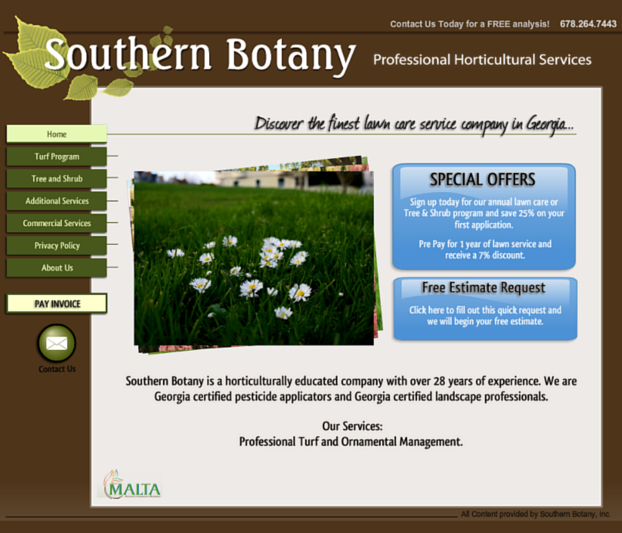 Join us on social media to see exciting offers and updates from Southern Botany.